The Sony PlayStation 3 is still selling well, but should you wait for the PS4? 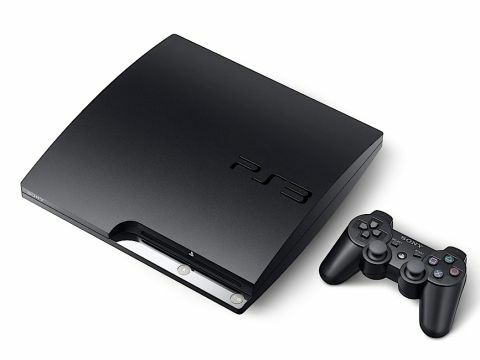 The Sony PS3 Slim is the latest incarnation of Sony's opinion-dividing PlayStation 3 games console. It's essentially the same console as before, but with slimmed down components and a new, smaller chassis. The key improvements in the new PS3 are the 120GB hard drive, up from 40GB and 60GB in previous UK versions, and it's also 36 per cent lighter, 33 per cent smaller and it consumes at least 34 per cent less power (it's probably even more efficient than that). So why is this such a big deal for Sony? The answer is that the PS3 Slim represents a new age for Sony's gaming arm – one that could well herald the start of a new profit-making era. The vast majority of PS3 consoles sold to date (Sony has shipped over 24 million of them so far) have been sold at a loss - even the original 60GB version which retailed at £425 made a thumping loss per unit. However, new manufacturing procedures have changed this recently, and a redesigned 45nm Cell processor along with other similarly small and power efficient components have reduced Sony's manufacturing costs significantly. So coupled with the fact that the PS3 Slim is selling for £250 in the UK – only marginally cheaper than the bigger, fatter PS3 original – you can see that Sony can finally expect to start making a return on its investment. And it's about time. But really, the questions are: should you care about that? And should you buy the new PS3 Slim? Continue reading our PS3 Slim review to find out.